يقع Wharf Boutique Apartments في سارفرس باراديس, جولد كوست, هو خيار شائع بين المسافرين. يقع مركز المدينة على بعد 0.1 km فقط. ويمكن الوصول إلى المطار خلال 30 دقيقة. إن سهولة الوصول من الفندق إلى المعالم السياحية الشهيرة الكثيرة في المدينة كمثل كاسكيد, Royal Queensland Art Society, Brad Holmes Surf Coaching هو استثنائي بحد ذاته. إن الخدمات التي يقدمها Wharf Boutique Apartments تضمن للنزلاء إقامة مريحة. لضمان راحة ضيوفه، يقدم الفندق الخدمات التالية: واي فاي مجاني في جميع الغرف, تسجيل وصول/خروج سريع, تخزين الأمتعة, واي فاي في المناطق العامة, صف السيارات . تعكس غرف الفندق البالغ عددها 18 المنتشرة في طوابق جواً من الدفء والألفة.خدمات عصرية مثل تلفزيون بشاشة مسطحة, مرآة, صوفا, اتصال لاسلكي بشبكة الإنترنت (مجاني), غرف لغير المدخنين موجودة في بعض الغرف المختارة. سواء كنت من محبي الرياضة أو كنت تتطلع لتفريغ عناء نهار صعب، ستجد خدمات ذات مستوى عالي بانتظارك كمثل حوض استحمام ساخن, مسار جولف - ضمن 3 كم, حمام سباحة خارجي, سبا, ملعب تنس. إن Wharf Boutique Apartments هو خيار ذكي بالنسبة للمسافرين إلى جولد كوست، بما يوفره من إقامة هادئة ومرحة. الحد الأدنى للعمر المطلوب للبقاء في هذا العقار هو 18 عامًا خلال العطل المدرسية أو فترة المدارس. خلاف ذلك، يجب على والدي النزيل الاتصال مباشرة بالعقار. يفتح مكتب الاستقبال من الساعة 8:30 صباحًا حتى الساعة 5:00 مساءً في أيام الأسبوع، من الساعة 8:30 صباحًا وحتى الساعة 12:00 ظهرًا في عطلة نهاية الأسبوع، ويغلق في العطل الرسمية. يُطلب من النزلاء الذين سيصلون خارج الوقت المحدد لتسجيل الوصول إعلامنا بالموعد التقريبي لوصولهم في قسم الطلبات الخاصة عند الحجز. يطلب من النزلاء تقديم بطاقة ائتمان سارية المفعول مع بطاقة هوية عند تسجيل الوصول. My husband and I arrived at Wharf to stay for a week, On our arrival to the 1 bedroom apartment we found blood stain on the bed sheet, so we complained to the manager. after few minutes the manager and his wife came to check and to take some photos of the blood stain. I also mentioned how the pillow cases looked dirty and not clean. They both stood their in the room arguing with us and I had to finally say if it's a problem leave the pillow cases and change the sheets. The manager's wife argued stating that the sheets were cleaned and were changed before we arrive but their was still stain on it. We had to sleep on the stained sheet and dirty pillow cases. They sent a cleaner later next day to change the sheet, We also had to put up with a tiny fridge which didn't freeze properly. We bought ice cream to put it in freezer and had to throw it away without eating it because it melted. Bad experience couldn't complain again knowing their reaction. 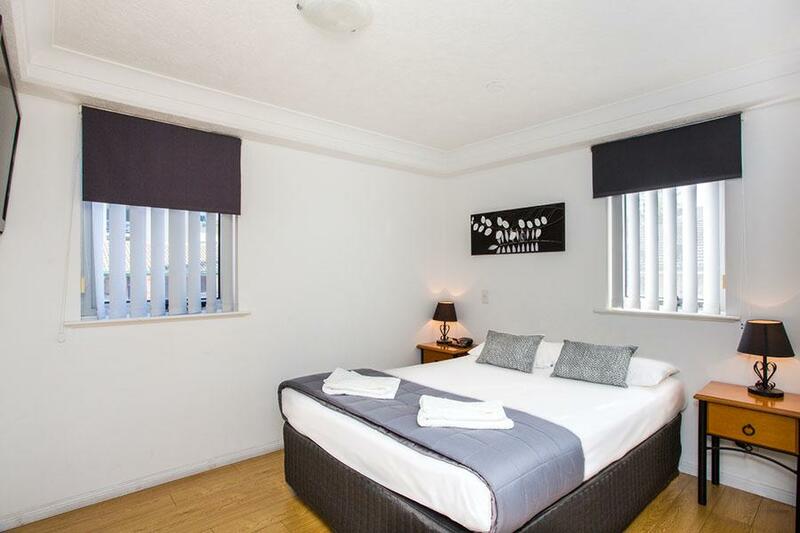 Well stay here again as the place was clean, modern, with amenities and great location. Apartment was comfortable however before I booked I asked about the construction work mentioned in a previous review. I was assured the construction work was finished and there was no noise. Sunday morning was fine but at 6.30 on the following 3 mornings I was awakened by extremely noisy construction just across the road. Trucks, machinery, high pitched alarms and a supervisor on a loud speaker continued all day. I had to keep all windows closed so I could hear anything inside. I would have been sympathetic to the managers but after blatantly lying about the construction they placed me in a room on street level closest to the construction work. They also gave me a hard time about booking through agoda even though I had asked for their best price which agoda easily beat. They even asked how much I was paying because they thought agoda was trying to 'rip them off'. I had to keep the blinds closed at all times as others could see in easily from outside. The fridge leaked. Disappointing. 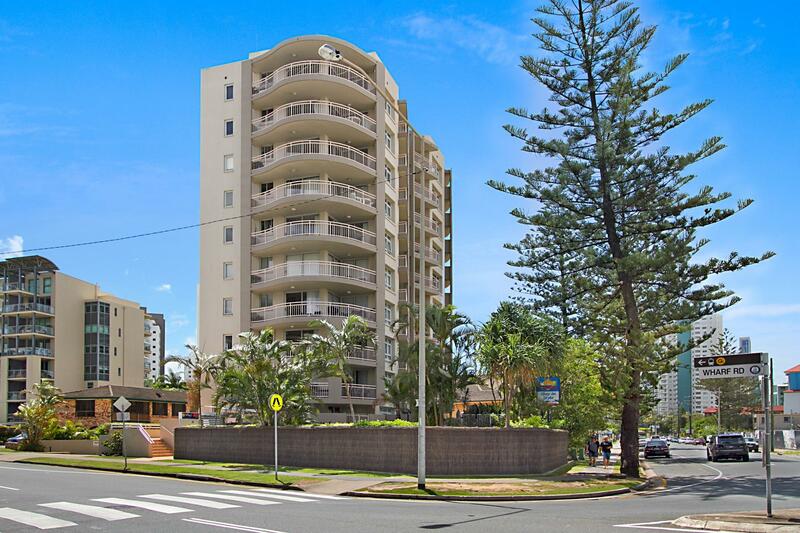 Close to Caville Avenue and Broadbeach. Clean stylish apartment. Bed comfy. Friendly reception. Fan in bathroom would have been ideal but otherwise very happy and would book again. We booked 2 bedrooms 2 bathrooms apartment for our 5 nights in GC. Location is good (walking distance from tram stop). We lucky to got high floor apartment with sea view. The apartment was clean, kitchen had cutlery and basic cooking equipment and they even provided detergent (so we could wash our clothes). We really enjoy our stay. Very clean, convenient and nice apartment...even better service! Everything was good n especially the staff they were very nice. I had a one bedroom apartment that was meticulously clean , well located , just. A few minutes walk from Florida Gardens tram stop. The hosts were very friendly and allowed me a late checkout at no extra charge.. 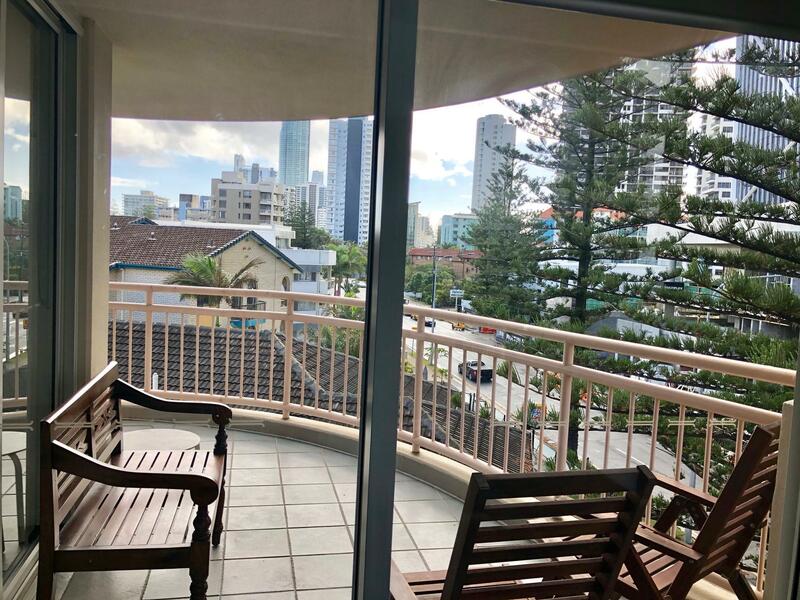 The apartment is approximately 100 meters from a surf patrolled beach and very close to either the restaurants/ nightlife of either Surfers Paradise or Broadbeach.. In summmary , it’s grest value for money,,well managed and a good choice! Very good location. Rem n Mathew had been helpful. I spent 3 pleasant nights here with my family - 9 adults and young children. It is really a great place to stay indeed with completed facilities & amenities especially washing machine & dryer, dishes washing machine and completed kitchenware. Good security system, strategic location and friendly & helpful staff. Thump up! I had a relaxing Hol at a clean and friendly venue. Great spot to base yourself. We booked a 2-bedroom ocean view apartment. The layout of the apartment was disappointing. The first thing we noticed when we opened the main door was the narrow passageway. We would not see the living room and it immediately gave the feeling that the apartment was not that big. The next thing we noticed was the unpleasant smell - it was especially bad in the second bedroom, which had 2 small windows which did not open fully. Then there was the sticky kitchen floor, which was very likely due to the fact that the person who cleaned the floor last used too much detergent. Window sills were dusty, with dead insects. Everything else was old. View of the ocean was disappointing, as there were cranes at the construction site across the road. I do not think there will be a view of the ocean in a year's time. There was just a single air-con, which was in the living room. We were hard-pressed to see how it was able to cool the entire apartment. The compressor was located on the balcony of the main bedroom. So, if the air-con was on, we could not open the balcony access sliding door because of the noise and heat from the compressor. Anyway, this problem was solved when the compressor broke down on the second night of our stay, and the manager could not get someone to repair it because it was the weekend! It was a very disappointing stay, especially after we had stayed at a very nice apartment in Sunshine Coast earlier in the week. Just normal aparments, not expensive, but they won't do cleaning every day. Stayed in a one bedroom apartment with garden view for 7 nights. Parking was convenient and easy to access. 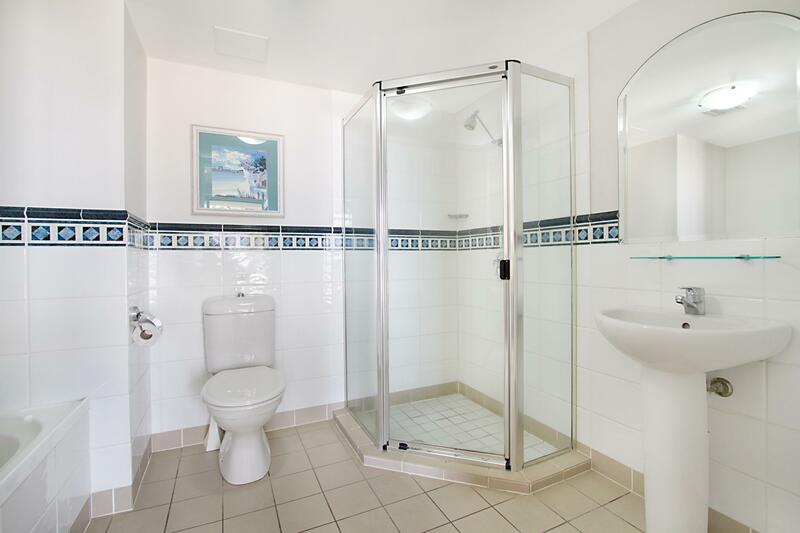 Short walk to the beach and about a 15 minute walk to Cavill Rd. Free wifi (1gb) for three days only. If you want to use public transport, the buses come past on a regular basis and a five minute walk to tram accesss... I did find the noise from the trafficand the building site across the road to be very noisy and had to keep windows shut when inside. Exactly what we were looking for in a self contained apartment with our young children, not fancy but clean and tidy, across the road from the beach and the manager, Rem, was wonderful! We would stay here again! Loved the spa! Staff were REALLY good even stopping to help us outside of business hours. Elevator needed some love though.